Before you plan where you want your money to go, think about where it’s currently going. It will provide you with an accurate picture of your current financial status. Take a look at your bank account to see what you’ve been spending money on. What bills are you regularly paying? Mortgage/rent? Utilities? Insurance? Are there debts you’re working to pay off? Student loans? Car loans? Credit card debt? What subscriptions or memberships do you have? Gym membership? Streaming services like Netflix or Hulu? Amazon Prime? Are you putting money in a retirement plan or savings account? How much do you have in your various accounts: checking, savings, retirement, etc? You can’t make adjustments to change what you haven’t faced, so take some time to examine the current state of your finances before you move on. Paper and pen, a free app, a paid app— you have options. I’m not going to advocate for a one-size-fits-all option because I think it depends on how you’re wired and on what makes the most sense for you. Apps and websites are nice because they can often be integrated with your banks so you don’t have to add your transactions manually. They also save you from having to do the math yourself. Using paper and pen (or pencil) is nice because it’s easier to adjust different categories, you don’t have to designate categories for your transactions (or edit the pre-assigned ones from the app versions), and it can be simpler without all the transactions, just focusing on the totals for each category. You can also get a free budgeting printable to use below! Give yourself some wiggle room. Start small. Don’t feel pressured to make a 180-degree turn in your finances overnight. If you’ve been overspending on your entertainment, it’s not realistic to cut your budget there down to 0. You can take small steps to work your way to where you want to be. The most sustainable way to make changes is incrementally. It might be easier to work to gradually get your budget to where you want it to be instead of making dramatic changes that you have a hard time following through on. You want to make your budget possible to stick to. It might feel a little restrictive or challenging, but unless you’re in a really tight spot where you feel like you absolutely can’t spend any money on things that aren’t 100% necessary, you have the opportunity to work toward a healthier budget one step at a time. And if you are in that place of having a watertight budget, I encourage you to approach your budget with an open mind and try to make room for a little fun in it so you don’t stress too much or lose your sanity. Maybe it starts with cutting back on eating out. Or cutting out one streaming service. Or making your coffee at home on weekdays and reserving the coffee shop trips to weekends. No matter what goals you set for your budget, know that they are just that— goals. You will likely make mistakes, and that’s okay. Extend yourself some grace and keep moving forward. You can start with the biggest expenditures, like your mortgage or rent, to make sure you can cover them without any issues. From there, consider your grocery budget, insurance, and transportation costs. Then you can add on things like entertainment, clothes, eating out, and other smaller budgets. When you work from the biggest (and most important) things to the smallest things, you make sure that you get the crucial things taken care of first so you don’t have to worry about having them covered. Part of effective budgeting is making sure you not only consider the payments you’re obligated to make, but also the ones that you willingly make, like tithing or gift-giving. The amount you give is completely up to you, but it’s helpful to include a line or two in your budget so that you have room to give money to others instead of spending it all on your bills and then not having any left over to give. This is especially helpful around the holidays if you give more or buy more gifts, which most people do more of during that time of year. It allows you to plan for those things instead of being surprised or thrown off by them. Regardless of what your income is or how you feel about it, the key to an effective budget is that it balances out to $0 between your income and your expenses. You don’t want to be living above your means, spending more than you earn. That’s not sustainable. And you ought to be directing everything you make somewhere. If you’re making more than your expenses require, then you can invest the rest, paying off debt faster or saving for something specific. But you won’t know if you don’t create an effective budget! 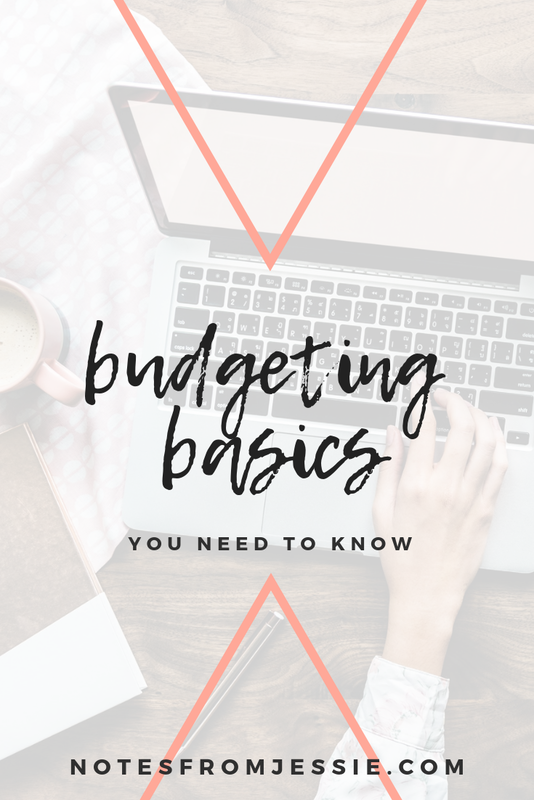 It can be stressful if you start going over your budget a little bit when you’ve worked so hard to make all the categories balance out with your income. You start thinking that you’re going to be in the red for the month, and that’s not a good feeling to have. But if you add a “miscellaneous” or “buffer” category in your budget, you won’t have to stress about going a little over in any one category. You also can adjust the amounts you put on each category as you go. So if you go over on groceries, you can “borrow” money from your entertainment budget or shopping budget. As long as you’re willing to work it out, there’s always a way to make it work when you’re paying attention and trying to stick to your goals. Using a budget is a perfect way to focus on putting money into your savings. First and foremost, you should have an emergency fund should anything unexpected come up. One of the biggest financial stressors is unexpected expenses like large car repairs or hospital bills or other bills you forgot you had coming. It’s helpful to have six months’ income saved in case you or someone in your family loses a job, gets sick, or incurs some other large expense. I personally had a situation come up a few years ago where I had to pay for a large fix for my car that I hadn’t been planning on. But because I had set aside money in an emergency fund, I didn’t have to panic or worry about covering that expense. It wasn’t fun to have to pay that bill, but it was so much easier knowing I already had the money set aside in case of unexpected expenses. If you’re working toward specific goals like buying a house, getting a new car, or going on a trip, it would also be beneficial for you to put more money into savings on top of your emergency fund so that you have money to finance those goals. That way you can fund your new adventure without so much stress! What’s your biggest takeaway from these tips? I’d love to hear from you in the comments! And don’t forget to grab your free budgeting printable here!